Multiple Sclerosis is a complex, multifaceted condition that can impact every aspect of a person’s life. There is so much information to absorb upon being diagnosed with MS, and because there is so much research being conducted, there are always new things to learn. 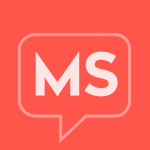 One of our amazing contributors, Stephanie Butler, is not only an MS nurse, but she also has MS, and she has written several incredible articles as a part of an “MS 101” series to help people who are affected by MS better understand various aspects of this condition. Here is a compilation of some of the information from Stephanie’s MS 101 articles, including Understanding the Nervous System, Understanding the Immune System, The Who What When and Why of MRIs, Relapses, Understanding PML and the JC Virus, and The Importance of Taking Care of You. Stephanie has also written several other articles, including Life Hacks for MSers, Hot Sweaty Nights (But Not in a Good Way), and Can We Pull Into the Next Rest Stop Please?, among many others. Her contributions to MultipleSclerosis.net are nothing short of incredible! Take a look at this summary of Stephanie’s MS 101 articles! We’ve included several quick and simply polls throughout this slide show that are relevant to the different MS 101 topics, and we’d love to hear from you – your opinion is so important to us! If you have MS then I’m sure that you are intimately familiar with MRI machines! MRI’s are the single best way for your health care providers to track disease progression, and to evaluate if your medications are working well. In the past if an MRI showed new lesions, but there were not any new symptoms we would take a “wait and see” approach. However, new evidence is telling us that we should treat the MRI, even if no new symptoms are present.